Since India had not yet obtained Independence from Great Britain, when the U.K. declared war on Germany in September of 1939, India did as well. 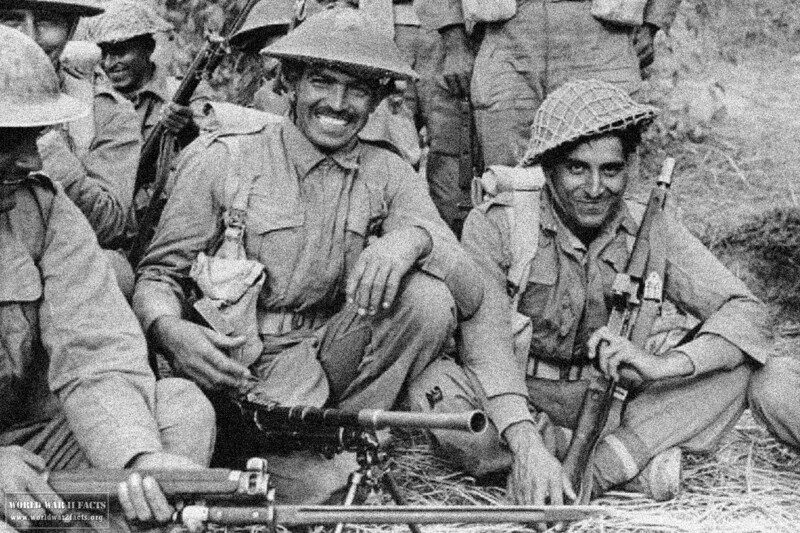 As part of the Allied countries, the British Raj provided more than two million soldiers (volunteers) to fight under British command during WW2. During the war, a number of the Indian Princely States would provide large donations to help support the Allies and India also provided the major base of operations for the United States to employ force in the CBI (China-Burma-India) Theater of the war. Throughout all of the theaters of WW2, Indian soldiers were noted to have fought with distinction. Participation included significant efforts in North Africa against the Germans and General Rommel, in the CBI defending the homeland against the Japanese, in both Italy and Germany in Europe, and helping to liberate Singapore and Hong Kong. The participation by India in the Allied campaign was strong throughout the war despite some political setbacks. The industrial, military, and financial might of the country provided a critical base that Great Britain leveraged for the Allies benefit during the war. During the peak of World War 2, there were more than 2.5 million Indian soldiers employed fighting the Axis powers around the world. By the end of WW2, the Indian economy had grown to be the fourth largest industrial power in the world, and she obtained independence in 1947.
men by August of 1945 making it the largest volunteer army in history at the time. The army included divisions in the airborne, armor, and infantry specialties. 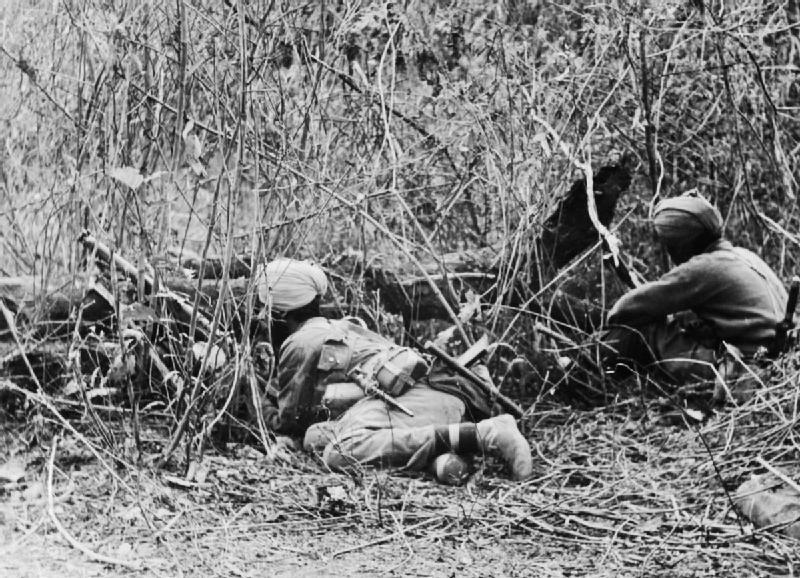 Although the army saw action throughout most of the world, the majority of the forces were devoted to fighting the Japanese with 38 members of the Indian Army being awarded either the George or Victoria Cross during the war. By the outbreak of war in 1939, the Indian Army had obtained significant experience during two major operations in Wazirstan, the Third Afghan War, and smaller conflicts on the North West Frontier that occurred over the past several decades. Although India had more than sufficient numbers to fill the army at the onset of WW2, the army did suffer from a lack of skilled technical personnel in 1939. The Indian Army had just started to convert their cavalry to mechanized tanks and did not have sufficient supplies of armored vehicles and tanks when war broke out. Before WW2 broke out, Great Britain did not have existing plans to expand or train the Indian army due to their primary mission being internal defense and guarding against a potential Russian invasion through Afghanistan. As World War II expanded, both the role and size of the Indian Army changed significantly. By 1939, the composition and organization of the Indian Army had significantly changed from the army that fought in World War I. The army made the shift to multiple battalion regiments in 1922 and was made up of five cavalry brigades and four infantry divisions. Of these forces, 12 of the newly formed infantry brigades were devoted to protecting the North West Frontier from attacks from across the border. Of the remaining, 43 of the infantry battalions were assigned to aid the civil government and ensure internal security. 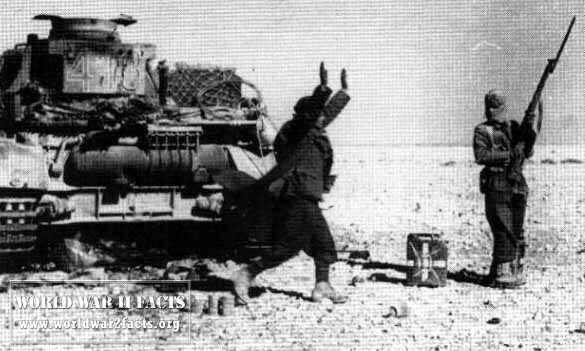 An Italian soldier surrenders to an Indian Jawan during the successful allied campaign of Operation Crusader. By the 1930s, the Indian army undertook a major effort at modernizing the force. From these efforts, the army started their own artillery brand, the Indian Artillery Regiment, and the mechanization of the cavalry started. In 1936, the army was committed to supplying a brigade each for the defense of Burma, the Red Sea, the Persian Gulf, and Singapore. Two brigades were assigned to Egypt. In order to save money, the Indian Army saw significant reductions in the force that resulted in there only being 96 infantry battalions and 18 cavalry regiments on the books in 1939 that totaled 194,373 personnel which included 32,155 non-combatant personnel. In this timeframe, there were also a significant number of personnel that the Indian Army could call upon to augment their forces. These included 22,000 soldiers from the Auxiliary Force (consisted of both Anglo-Indian and European volunteers), 15,000 from the Frontier Irregular Force, 53,000 from the Indian State forces, and 19,000 from the Indian Territorial Force. Prior to WW2, there were 20 Indian regiments of regular infantry (this number included the Burma Rifles) and ten of the Gurkha. Prior to the outbreak of WW2, each of these regiments consisted of a minimum of two battalions with many of them having more. The Gurkha’s only had two each in this timeframe; however, they each raised an additional two at the outbreak of war. 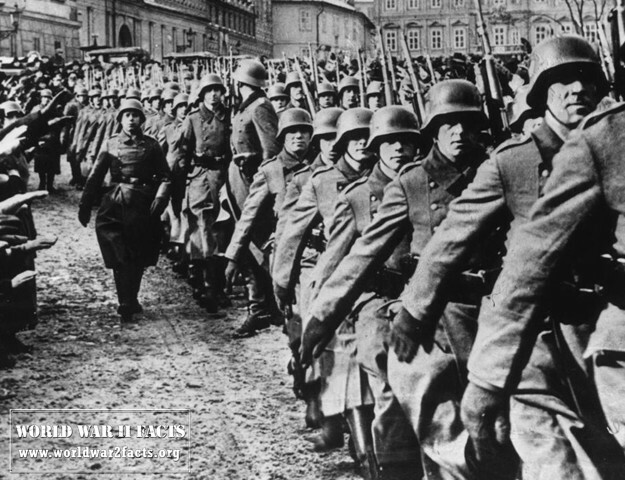 Some of the remaining regiments were able to raise up to 15 battalions each. 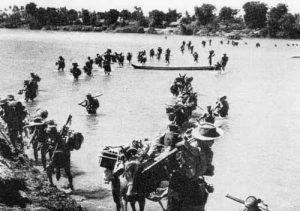 There were also two additional regiments started up at the time of the outbreak of war (the Burma and Assam Regiments). Despite being advised by the British government after WW2 broke out that it would not be required for combat, the Indian Army’s 4th and 5th Infantry Divisions were asked to join the Allied Forces in the North and East African Campaigns. Four of the Indian Army’s mule companies were also requested to join the UK’s Expeditionary Force operating in France. 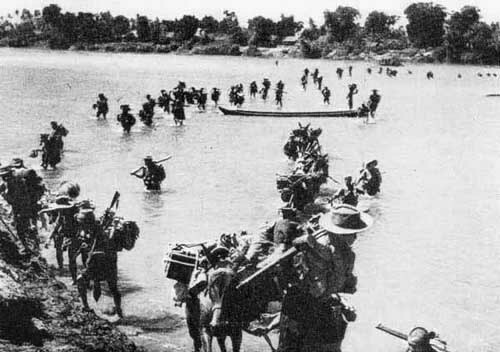 The British Indian Army's Gurkha Rifles crossing the Irrawaddy River on 27 January 1945.
were intended to be used in Iraq and Malaya. Although the 3rd Indian Motor Brigade was assigned to proceed to Egypt, the remainder of the division formation was placed on hold due to the lack of armored vehicles available to outfit the unit. 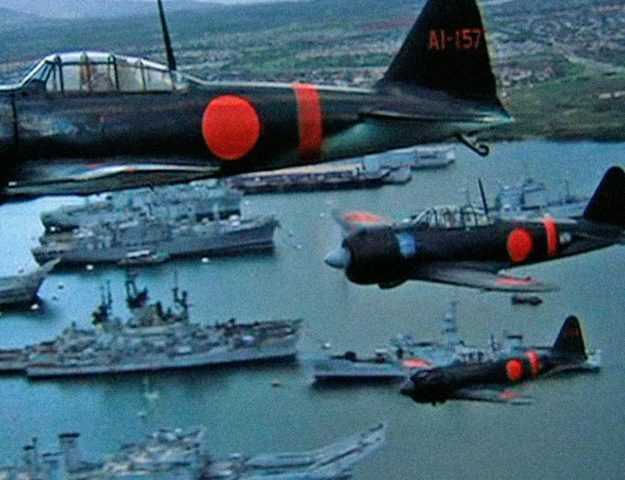 The following year, the Indian government significantly updated the defense plan for India due to concerns with what the Japanese were planning. Combined with the requirement to replace the existing divisions that were already serving overseas, the Indian government formed 50 new infantry battalions and seven new armored regiments. With the fall of Singapore in 1942 (fall), there were approximately 40,000 Indian personnel taken prisoner by the Japanese. The Japanese gave these soldiers an option of either joining the Indian National Army to fight on their side or becoming POWs. Approximately 30,000 chose the join the INA and the remainder were either killed or made POWs that were shipped to New Guinea. Due to a perceived lack of performance by the Indian Army in the Burma and Malaya battles that occurred in 1942, it was determined that the Indian infantry had incorporated too much armor into the units. As a result, some of the Indian infantry divisions were selected to become light. By the end of 1942, an agreement was reached making India the primary base of operations for Allied offensive operations. Entering 1943, the Indian Army had plans to build an airborne division, another infantry division, as well as an armor brigade. They also changed the way Indian Infantry Divisions were established, including an additional set of two infantry battalions as part of the division formation. There was also a committee formed during 1943 to make recommendations for improvement to the Indian Army. Some of the notable recommendations included ensuring there was a mix of a British, Gurkha, and Indian battalion in each brigade, improvements to basic training, and improvements to the quality of NCOs and officers. The army also converted the 39th and 14th Infantry Divisions to training divisions to help with the jungle training of the infantry in July. 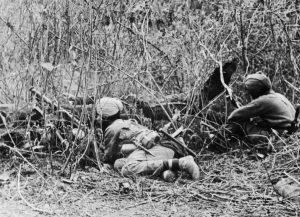 Before a battalion would be sent to the front in the jungle in Burma, they would spend between four and six months with the training brigade. The Indian Army was finally able to complete formation of the 44th Indian Airborne Division this year. 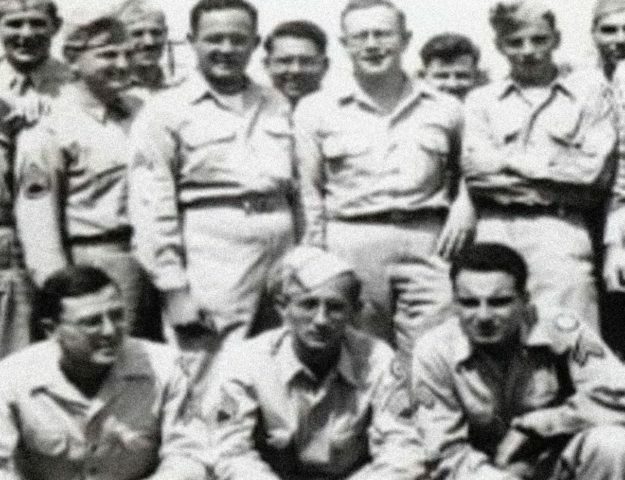 This left only one armored division in the army (the 31st Armored). Starting in May of 1944, the 116th Army Brigade was responsible for training Indian units that were going to deploy to the 14th Army. The 150th Brigade was converted from the Risalpur Training Brigade took over responsibility for training Indian units that were going to deploy to the Southern Army. The 155th Indian Infantry Brigade was also formed in order to train units that were going to deploy in the western theater of WW2. During World War 2, the Indian Army provided forces of varying sizes to the following Allied armies in a variety of Theaters of the war. The following are the armies that saw Indian unit contributions during the war. The Eighth Army was formed in September 1941 from the Western Desert Force initially under command of Lieutenant General Sir Alan Cunningham. The Eighth had a fair number of issues early in the war until coming under the leadership of General Bernard Montgomery. 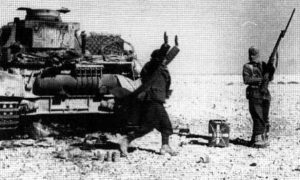 After the Second battle of El Alamein, the Eight started to see a reversal of the bad luck in battle as they crossed into Tunisia from Libya. The British Ninth Army was formed on November 1st, 1941 and was promptly redesignated as the HQ of the British Troops in Mandate Palestine and Transjordan. It was in charge of all UK and Commonwealth land forces located in the Eastern Mediterranean. The British Tenth Army was active in Iraq from 1942-1943 and had the British III Corps and XXI Indian Corps under its command. The primary task of the army was to ensure the LOCs (Lines of Communication) were open from the Persian Gulf to the Caspian Sea (and the Soviet Union). The army was also in charge of keeping the Iraqi and other southern Persia oil fields secure to provide Great Britain with an additional source of oil from the United States. The Twelfth found itself reformed in May of 1945 in order to take over operations in Burma from the Fourteenth Army. The HQ was formed from a redesignation of the XXXIII Indian Corps. overlooked by the press of that day, the army is also referred to as the “Forgotten Army” despite the fact it was the largest army of the Commonwealth during WW2 with more than a million personnel by 1944. At various times during the war, the Indian Army assigned the IV Corps, XV Indian Corps, XXXIII Indian Corps, and XXXIV Indian Corps to the army. Primary formed out of the Southern Command in 1942. Primarily used for internal security and had the 19th Indian Infantry Division assigned to it from 1942 to 1944. Formed to guard the North West Frontier in India. Was responsible for guarding the Waziristan, Baluchistan, Rawalpindi, Peshawar, and Kohat districts. Churchill, Roosevelt, and India - By Auriol Weigold, last viewed: 19 December 2013. Guy, Alan J. and Peter B. Boyden, eds. 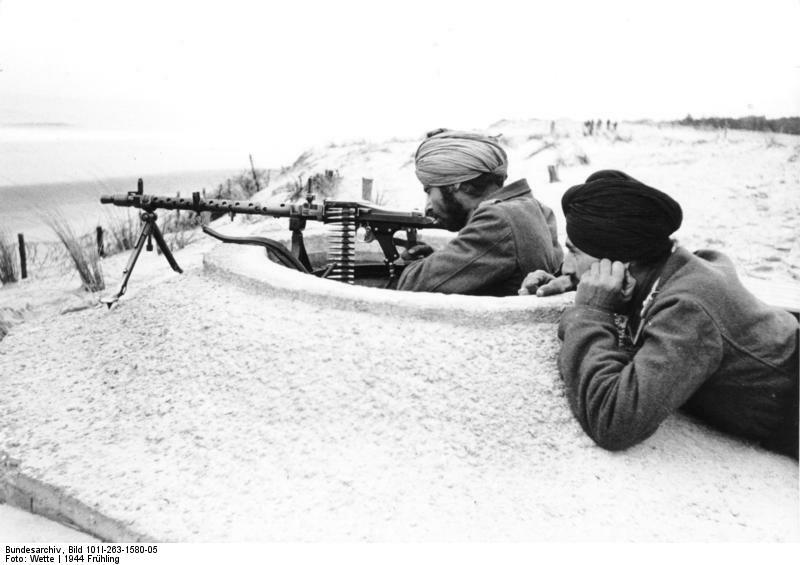 Soldiers of the Raj: The Indian Army 1600–1947 (Coventry, U.K.: National Army Museum, 1997). Jeffreys, Alan; Anderson, Duncan (2005). The British Army in the Far East 1941-45. Osprey Publishing. "Official History of India and Pakistan in WW2, iBiblio.org, Last Viewed: 19 December 2013. Sankar Ghose (1993). Jawaharlal Nehru: A Biography. Allied Publishers. pp. 114–18, Last viewed: 18 December 2013.